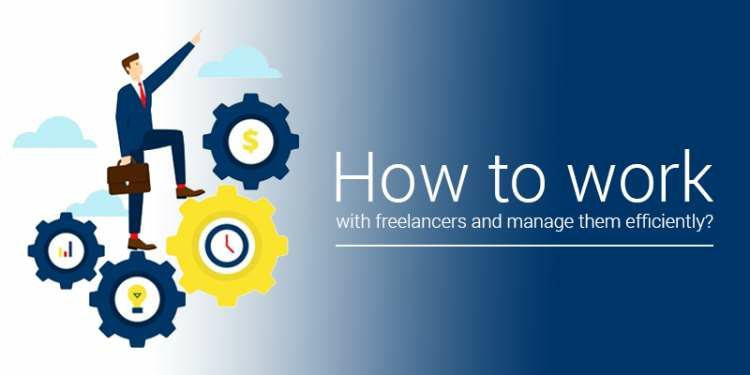 How to work with freelancers and manage them efficiently? There will come a time when you have to hire freelancers online, work with them and manage them. A high-skilled freelancer spends dedicated hours researching about the given topic and writing content that they think will best represent your brand to help to drive its sales. Let's say for example, that you are an editor responsible for the news delivery and are concerned with the freelance content writer sourced from top freelancing sites. You are concerned about the freelance writer who is unable to understand what you are looking for regarding the news content quality, its deadlines and even about the availability and dependability of the online freelance writer. What if they give up on writing for you altogether and you have to find a new freelancer online? There are many such valid concerns regarding freelancers, quality and delivery of their work and more so, the feedback process. The feedback process is a delicate process that needs to handled sensitively and expertly. You have to manage emotions while ensuring that a stable relationship that does not crumble because of criticism. Your feedback must be to the point and focused on work, not the person. You must change your attitude about feedback as an unnecessary burden and rather, see it as a gift to your employee. Feedback, when done right, is beneficial for your freelancer as well as you. They get to learn a lot about their strengths and areas of improvement from the feedback, and you will get precisely the quality work that you expect from them. If you have found a reliable freelancer from freelancing websites, it’s worthwhile to keep them and coach them till they understand your business and its work requirements thoroughly. If your writer missed the mark on the project, you should first ask yourself if you provided them with clear instructions. Did you share with them all the required information?Were they able to understand your work concept and its requirements? Were you available for any clarification of questions? Did you provide them with the necessary resources to complete the work? If you can acknowledge any of the mistakes that you have made at your end, then the writer won't feel unfairly criticized, and they will be more likely to be willing to work to get a better end product. Providing precise and genuine feedback will help your freelance employee. Lacking clarity will cause more ambiguity during the revision process and the task completion even more time-consuming. Whenever assign any task to freelancers, make sure that you provide them with enough references and examples to help them understand what you are looking for and even in cases, when they are going wrong and need a visual reference as guidance. There is nothing more frustrating for a freelancer than receiving poorly framed instructions that keep changing all the time. Poorly researched and framed guidelines hamper your freelancer's work, speed, and efficiency. Make sure you go through the instructions that you plan to send to your freelancer well in advance and then only, go ahead and send them the same. You need to focus on your assignment. When giving feedback, focus on the completed tasks, pending tasks and how the freelancer plans to complete the pending tasks. Never make personal attacks on the freelancers. Have trust in their skills and capabilities. Listen to them and believe them. Try to help them wherever required instead of shouting at them. Be available during the revision process so that the freelancer can approach you with any follow-up questions regarding the feedback that you have given. The feedback will help the freelancers to get more efficient and creative in their assigned work. Managing freelancers efficiently is key to your company’s success. This aspect is often neglected by most organizations. Communication is one of the critical aspects of managing talent. Make sure that your feedback to the freelancers is genuine, helpful and encouraging. It should inspire them to work on their shortcomings and encourage them to complete the project with a motivated mindset. What is your opinion on managing freelancers? Let us know your side of the story as we would love to more about it.